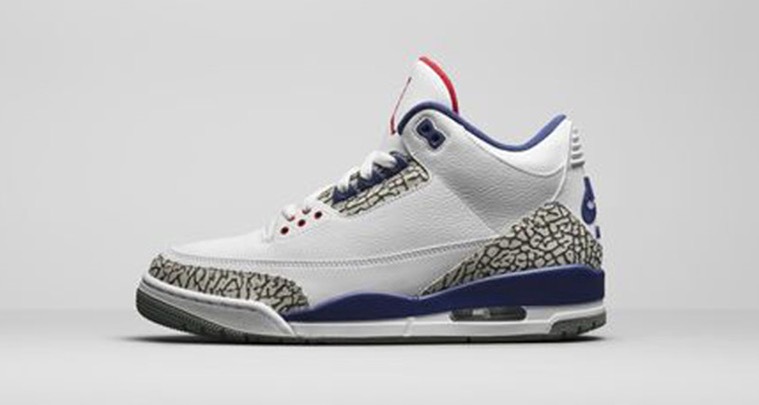 News first broke of the Air Jordan 3 “True Blue” retro with Nike Air back in February, stabilizing claims that the shoe would return sometime in 2016. It was later detailed that the 88’s would release on Black Friday – America’s biggest shopping day. Today, the first official image of the shoe is unveiled showcasing a remastered frame with Nike Air branding properly placed at the rear. And, like the “White Cement” 3’s with original branding, they will retail for $220. Stay tuned for more on this release next month and make sure to calendar the November 25 Jordan Release Date.